First we have to create a database and enter some dummy user information’s. 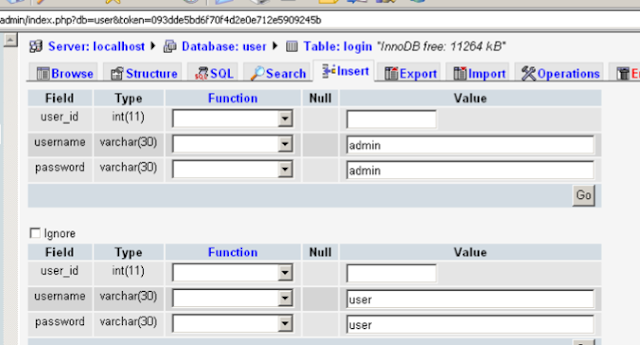 In tutorial I’m using the WAMP Server 2.0 which has the MySQL and apache services which will run the php files. After the sample user data inserted, table will show the data like below image. Create config.php file and paste the following code to the file. User: mysql username. Default value is root. 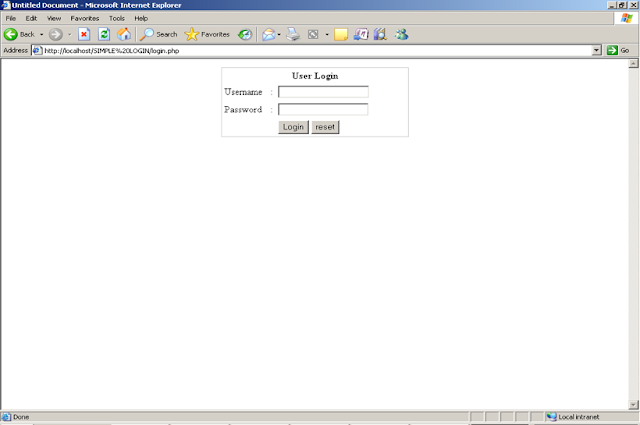 Create login.php file and copy past the below code to the file. Following code has the login form and to get posted value after the form submitted using $_POST. <table align="center" bgcolor="#CCCCCC" border="0" cellpadding="0"
Post Method: We used post method to get the values, because post method is secure way to pass the username and password. Post method is the best practice when we passing the secure data’s. Include the config.php in login.php to connect the database:Using php “include()” function include the config.php in login.php. Session:Session is used to start the session and store the values in session and get the values anywhere in the web pages. To start the session, call the session_start() function in login.php file. Mysql_Num_Rows: Mysql_Num_Rows function is used to return a number of rows from the table. Create the home.php file which has the script to destroy the session. When a user submit their username and password in login page, php login script will check the given username and password in the database table using MySQL select query, if the query return the value, script will redirect to home.php page. If username or password is wrong system will show error message as “User Name Or Password Invalid”. Create the logout.php file and paste the below code in to the logout.php file. 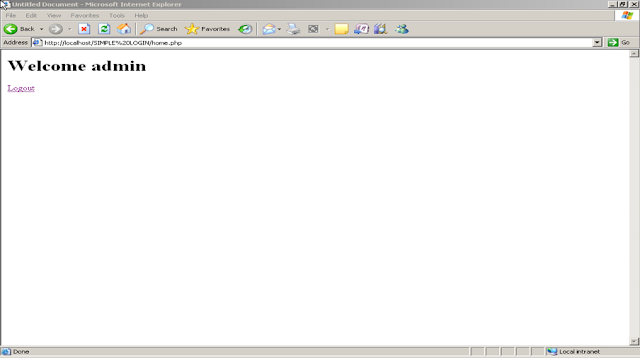 Logout will destroy the session and redirect to login.php page again.